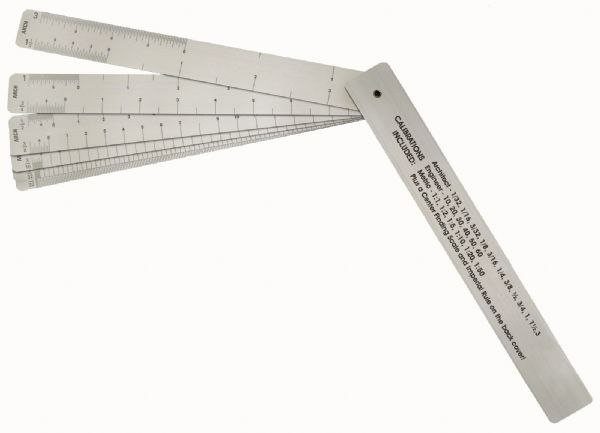 A convenient all-in-one tool made from aluminum that has standard architect engineer and metric scales. * Eight blades of aluminum sheet riveted together. 7.75" x 0.75" x 0.19"